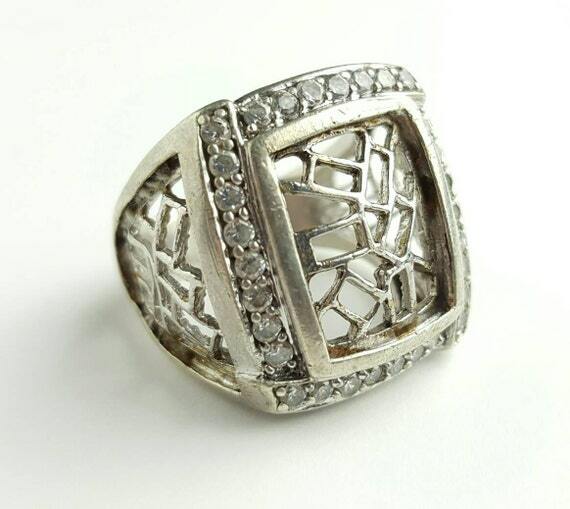 Excellent vintage ring square with clear gemstone border and rectangular filigree designs. Nice weight and solid design. Elegant yet modern.